No luck so far. Any other suggestions (short of going back to the dealership)? I am out of the warranty period so if there is anything else I can try, I would like to give it a shot. Is there any other way to get into the trunk for the coupe? Check the fuse. The only other way I know would require you to pull the back seats down to gain entry through the cabin of the vehicle. There's the emergency trunk release. Stupid thing is the only way to release the seats is from inside the trunk. Do you hear the "clunk" noise when you are pushing the button on your keyfob or pushing the switch down on the drivers side? If not, then I'm positive its a fuse. Thanks - there is no clunk. How do I check the fuse? Your harness for the trunk is probably broken. Need to get a new harness. This happened to me and I got it replaced at the dealer for a lot of $$$. There is a way to release the back seats to gain entry to the trunk. 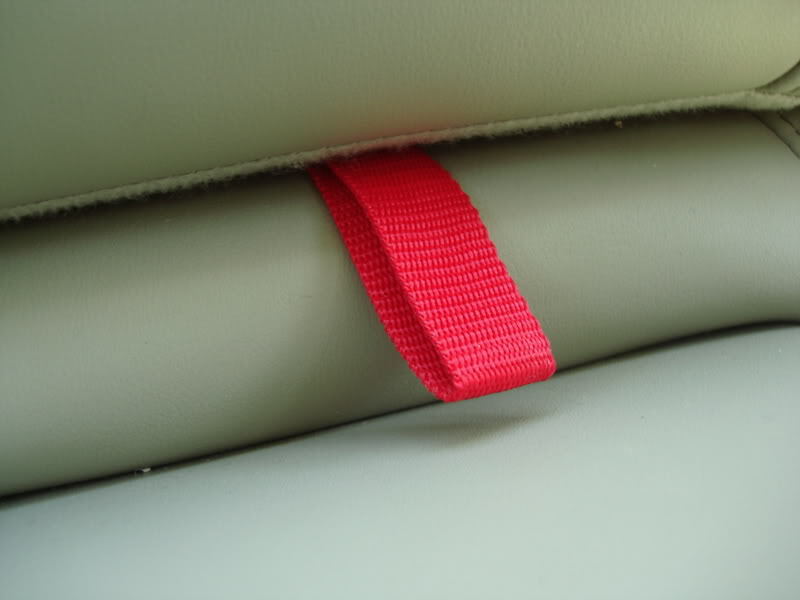 Reach in between the back rest and the centre console (between the seats) and there should be a red string. Pull on that and the back seat will come down. It is hidden underneath the back rest so you have to reach under it to get at it. ^ That's right...i forgot about the red cable wedged in the seats. Look in the manual for the fusebox locations. I believe, and I could be wrong, one's located on the driver's side kick panel area and the other in the engine bay. I always thought the only way to put the seats down was from the trunk. When cleaning my car, I found the release for the seats. 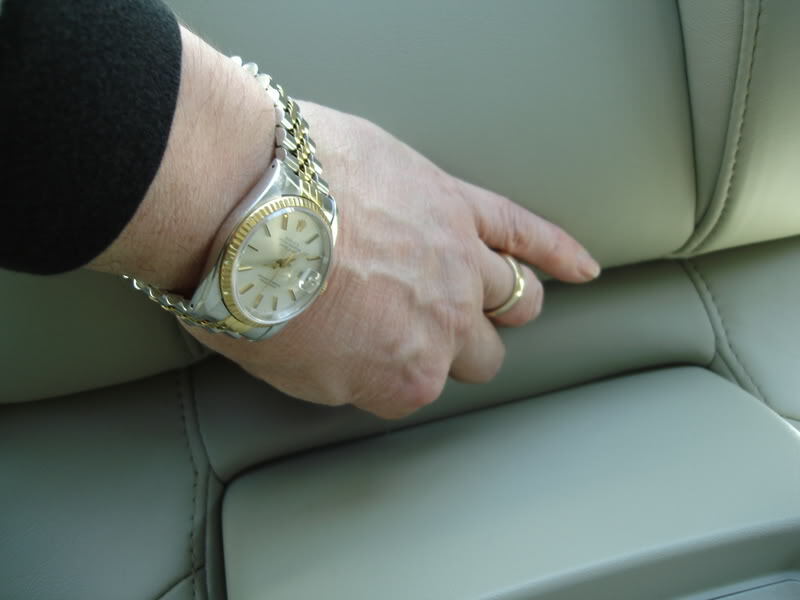 You will need to stick you hand in between the seat back and bottom right in the middle of the rear seat. If you feel around, you will find a red nylon strap/pull. 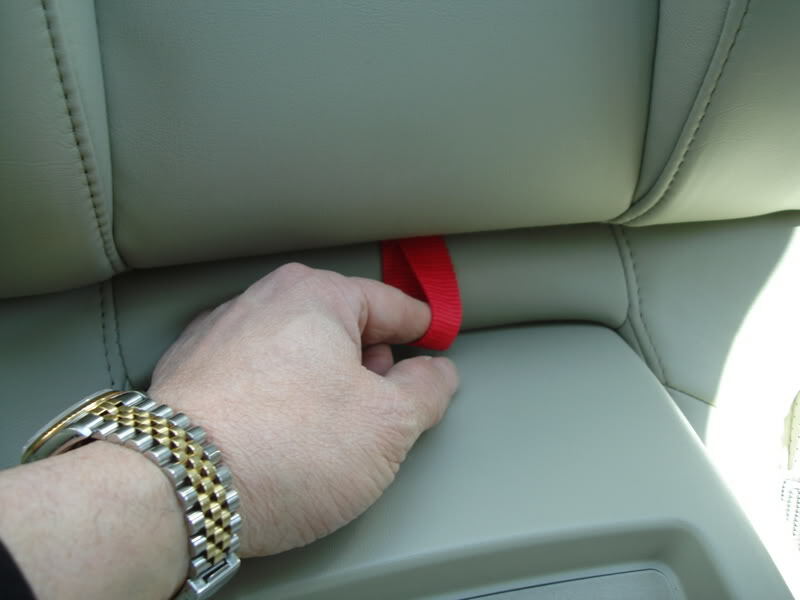 If you tug on the pull, the seat back will be released and you can fold down the seat from inside the car. It took me months before I realized they had tucked that pull in the seat area. Its supposed to stick out, but when you put the back seat down, it pulls it under and hides it quite well from most owners..
Go check, you will find the missing release in there. awesome thanx for the pix gr8tg35....big help!!! And I had no idea about that strap! Usually on the fuse box cover there is a diagram telling you what each fuse is... I know there is one by the driver side door where you'd rest your left foot while driving... and if there is a fuse box under the hood, the trunk fuse is more likely located there. I had no idea that strap was there, awesome.